Hermitage School District in Hermitage, Arkansas has chosen the eTrition school nutrition accountability system from Harris School Nutrition Solutions as a strategic technology improvement. This move is in harmony with the district’s desire to upgrade its software systems to the latest, most robust technology, which will increase efficiency. Hermitage is making plans now to go live in early 2016. As users of Harris’ Meal Tracker software for many years, the district was incentivized to switch to eTrition as a fully hosted solution, meaning that software is not required on every user workstation. This allows district users the flexibility of doing their jobs from any Internet workstation. 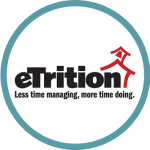 eTrition will also greatly reduce the time needed by the district’s IT staff to maintain equipment, and eliminates the need to manage backups and software updates.